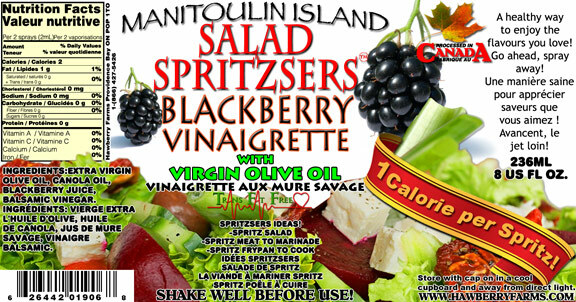 Click the button below to add the Blackberry Vinaigrette to your wish list. A healthy way to enjoy the flavours you love! Go ahead, spray away! Ingredients: extra virgin olive oil, canola oil, blackberry juice, balsamic vinegar.